This review originally appeared in an online magazine--I think in the Spring of 2004; maybe 2005--and while my review is luke-warm I really did enjoy the novel. And be warned, this review is a little harsher than the usual fare around here, but when I stumbled across it a few days ago it brought back good memories of not only the novel, but also of the time spent writing the review. Blitz, written by Edgar nominee Ken Bruen, is a white-hot, dialogue-rich, British noir—Bruen is Irish, so it should probably be classified as Irish noir, but whatever it is, it is most certainly set in southeast London. Blitz is the story of a serial killer—The Blitz, he calls himself—and London’s finest as they track him. The cast is large and often unpredictable: Detective Sergeant Brant, a brutal, belligerent cop accused of assault; Detective Sergeant Porter Nash, a recent transfer into the squad, and openly homosexual; Chief Inspector Roberts, who finds respite in wine after his wife’s death; Police Constable Falls, a black female cop with a liking for nose candy and a skinhead called Metal for a pal; Police Constable McDonald, a young cop with an eye at the top job. The cast creates a mix of tension and humor. They play off each other like pin-balls in a machine—seemingly never playing, acting, or responding as expected. The prose is quick, sharp and intense. The novel is written with a haphazard storyline. The chapters are quick hits of story—each written from the perspective of a major player: Blitz, Brant, Nash, Roberts, etc. 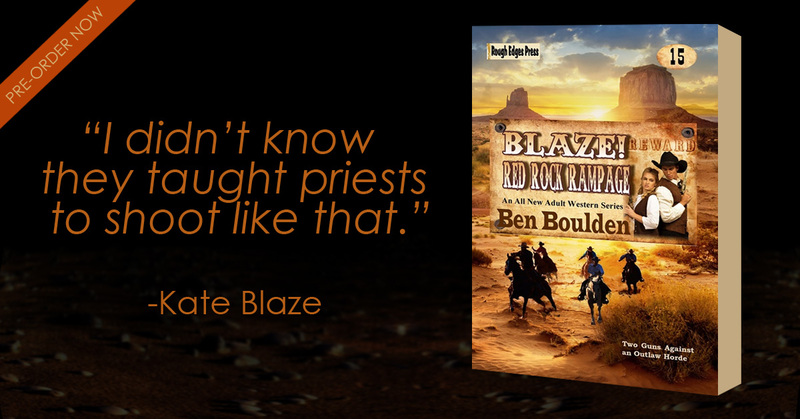 They seem to meander, almost stall a few times, but Bruen pulls the story along with a gritty, yet humorous prose. The bad guy—The Blitz—is somewhat shallow and two dimensional. The good guys aren’t that good, and they seem to do less police work and more battle against personal demons. The novel is a composite of its characters. They are more important than the plot. They define the story—humanity interacting with humanity; the good, the bad, and all the varying shades in the middle. Blitz is not the best modern noir has to offer, but it is entertaining. The prose is rough and hot—it has the uneven feel of a blues song. The characters are raw, both disgusting and hilarious in the same paragraph, even sentence. The words pulse with energy. They drive the story forward with a fresh and unexpected beat, but it burns a little too long before it climaxes into an amusing, if mildly unsatisfying, ending. Thus far 2008 has been good to me, both personally and professionally. More so than its predecessors and when life is good I tend to do what I've always done, buy and read books. My wife and I have spent several weekends scouring the closest cities for bookshops--and I live in the West so sizable cities are few and far between; Las Vegas is the closest large city and it's six hours by car. I haven't been that far afield, but I've found some cool stuff a little closer to home. A month ago we went to the small college town of Logan, Utah where we visited three bookshops: a Hastings, a small independent used shop called Books of Yesterday--it has a terrific selection of used and out-of-print paperbacks--and a small paperback exchange. I loaded up. I found a first edition paperback of David Morrell's First Blood, an old Harry Arnston novel titled The Third Illusion, the hardcover edition of Midnight's Lair by Richard Laymon, and a terrifically preserved hardcover of Ed Gorman's Will You Still Love Me Tomorrow? And that's only a few of them. Then last night we visited a local thrift shop and I found several old Ellery Queen Mystery Magazines from the early-to-mid 1980s. They contain original stories by writer's like Edward D. Hoch, James Powell, and Joe Gores--I read his short story "File #9: Full Moon Madness" this morning and was intrigued by both the style and, for a short story, large cast of characters that he was able to trim into eight coherent pages. And it was pretty good at that. There were also a couple stories by bestsellers Ray Bradbury--"The Wonderful Death of Dudley Stone"--and Frederick Forsyth's "There are No Snakes in Ireland." I can't wait to dig into these for several reasons, but the most important is the 1980s was when I discovered the wonder of story-telling and the stories and styles of that decade hold a special place in my personal canon of literature. I've also discovered a cool essay online. It's by novelist Stephen Mertz and called "In Defense of Carrol John Daly." It's an aptly and literate defense of Daly's influence in the world of hardboiled detective fiction. I'm no expert, or even an informed layman, but this essay really made me want to learn more about both Daly and early hardboiled stuff. Go Here to read it. The point? I need more post-apocalyptic titles, both novels and short stories. I'm specifically thinking about short works from 1940s, 50s, and 60s science fiction writers, but really I'm up for anything. Are there any favorites out there? Please clue me in; either send an email or better yet post a comment. And maybe include a film or two. And thanks, too. Larry Wilson is a passive, almost invisible man. His life is comfortable, but also unfulfilled and lonely. He has a routine and self-governing rules, but no friends and his “mild-mannered demeanor” makes him an easy target of ridicule from his co-workers. One of the few highlights of his week is Friday night when the local movie house, Starlight Cinemas, presents Witching Hour Theatre. It is a triple bill midnight horror movie-marathon presented in the older of Starlight's two theaters. There is a curtain, dark shadows, a spooky atmosphere and a sizable audience waiting for three deliciously frightening films. The first is always a recent release, the second an older "classic film," while the third is a campy, often poorly made but fun, film from the 1950s or sixties. The audience is large on this particular presentation of Witching Hour Theatre, but many, except the diehards, leave after the first film, and then even more make their way to the exits after the second. It is during the third film that Larry realizes he’s alone and soon he begins to see strange things. Then everything changes. Larry's quiet world is turned upside down as he is faced with a terrifying confrontation that challenges both his mortality and his conscience. "Witching Hour Theatre" is a delight. It is a short novella, no more than an hour of reading, written by Craig Shaeffer. It begins as a quiet story, but quickly blossoms into full-bore action horror. The old theater is spooky with shadows, darkness and impending terror. The images of the carnival-like atmosphere will thrill fans of horror movies and the climax is effectively scripted to the action on screen. The writing is professional and the tension built without melodrama: it is constructed with a slow, literate and agonizing pace. The reader can feel the terror coming, but it is created scene-by-scene from a low, almost unheard thrum, to an inferno. "Witching Hour Theatre" is an unexpected gem. It is original and entertaining. Its quality and tone, along with its use of a well-known film to accentuate the action and mood of the story, will keep fans of the genre interested and thrilled. A month or so ago I watched an episode of American Experience on PBS about Roberto Clemente and was captured by his grace, both on and off the field. He was misunderstood, under-estimated, to the dismay of his opponents, and a pioneer for the Puerto Rican major league community. And wow could he play. He ran the bases with wild abandon, he hit safely 3,000 times, and his arm was a booming threat from right field. And for fifty-minutes I remembered what I like about baseball: the quiet thoughtfulness of the game; the heroics of the individual as part of a team; but mostly the skill and precession that is demanded to be a great player. It also reminded me how we, as a culture, look at the past through rose-colored glasses--everything was more comfortable, easier, and the people who lived those times reacted more properly and with a grace that is lacking in the present. I'm certain that Clemente had his flaws, as both player and man, but we have a tendency to look only at the good. And as I watched his short life unfold on the television screen I didn't mind that it was a gentler and kinder portrayal than reality because there was something important and real in the film. It said, in differing shades of truth, this is humanity at its best. This is what we can be if we try, persevere, and compete. And for a moment it made me proud of my species, and that's a feeling I don't carry with me as often as I should; usually with good reason. I was a late arrival to the work of Richard Matheson; sure I had seen several episodes he wrote for the original Twilight Zone (including the terrific "Nightmare at 20,000-feet" based on his short story of the same name, and the moody--aren't all Twilight Zone episodes moody?--"Nick of Time") but I really didn't comprehend how good Matheson's work is until I purchased his recent novel Hunted Past Reason. I picked it up at a local bookstore when it was released in mass market in the spring of 2003 and devoured it in a few sittings. And I've been avidly reading his work as I come across it ever since. Which is why I'm excited about a discovery I made this past Sunday at another local bookstore. TOR has released several--at least five--of Richard Matheson's older titles in mass market at the terrific price of $4.99 each. The titles? Earthbound, The Incredible Shrinking Man, What Dreams May Come, Beardless Warriors, and Stir of Echoes. At least those were the titles the bookstore had on hand. I purchased three and started reading The Incredible Shrinking Man last night--so far it's everything I expected: literate, exciting, meaningful, and relevant. All that and I'm only on page 30. The really cool thing is: these aren't cheap editions. Certainly they're mass market, but I love mass market, and the covers are pretty cool; especially The Incredible Shrinking Man. If you enjoy Matheson's work and are missing a few titles, you should check these editions out. The price is right and the writing terrific. 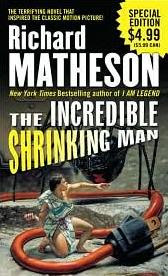 Not to mention if you haven't read Richard Matheson's short story "Nightmare at 20,000-feet" it, and several other short stories, are included with The Incredible Shrinking Man. Too cool. Sam Culver is an eleven year old boy who adores his father. He loves his mom, but his dad is everything he wants to be--cool, handsome, gracious, well-liked, and funny. Sam's father is on the road a couple weeks each month, which bothers both Sam and his mom, but when he comes home he always has gifts; and his absence makes his presence all the more wondrous. But Sam can see the strain on his mother. She's looking old in young Sam's eyes and it's not odd to find her alone in the dark crying. She's always kind and warm, but she has an underlying current of fear and sorrow. To tell more would spoil the story, but rest assured it only gets better from here. "Mom and Dad at Home" is an atmospheric, subtle and moody story of dark suspense. 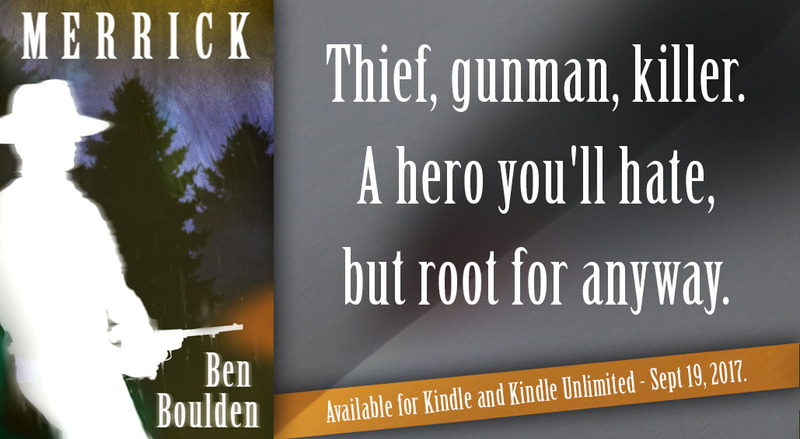 There are no stomach dropping moments of terror, or gruesome, nauseating scenes of violence, but instead Ed Gorman develops the story through the viewpoint of an innocent and trusting young boy. It is a coming of age story that has elements of early-Stephen King, but is told in a style that is all Gorman. The prose is lean, the dialogue slight and to the point, the voice lower-middle class, and the plot develops slowly and ominously toward a crushing revelation. "Mom and Dad at Home" fits nicely in the horror genre, but it's a little more--it says something dark about society, the unsteady relationship between the sexes, and the trust a boy has for his father. And, perhaps more importantly, it creates an image of a slow and devastating journey of love, deception and fear as the story spreads itself across the broad spaces of the working-class. It's also terrifically entertaining from the first paragraph to the last, and a story you'll want to read more than once. 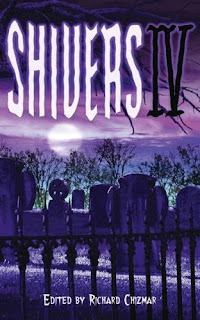 "Mom and Dad at Home" was published in Richard Chizmar's Shivers IV in 2006. Robert J. Randisi is one of the hardest working writers currently producing and his work is reliably entertaining, action-packed, and good fun. 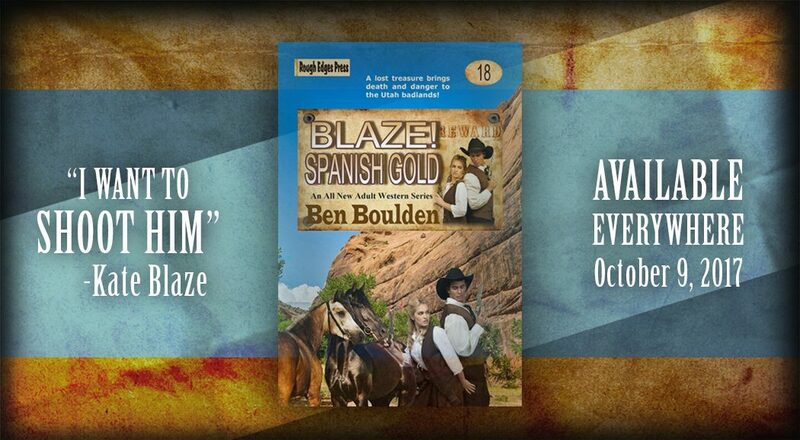 He has written a broad variety of popular fiction over his twenty-five year career--Westerns, both series and stand-alone, mystery, action, and even horror. He reintroduced me to the Western early in the twenty-first century with his fine novel Miracle of Jacal and downright wowed me with his police procedural Alone with the Dead, the first of his impressive Joe Keough series, and now he's at his best with the latest Rat Pack novel, Luck Be a Lady, Don't Die. Luck Be a Lady, Don't Die opens six months after the filming of the original Ocean's Eleven. Eddie Gianelli--Eddie G to his friends--is back at his post as a Sands pit boss when he learns his new friends, the Rat Pack, are expected back in town for the premier of the film. Eddie isn't expecting much so when Dean Martin summons him, Eddie is pleasantly surprised; and even more surprised when Martin asks him to help Frank with a problem. His new paramour, who was supposed to meet him in Vegas, has disappeared. Frank assigns New York heavy Jerry Epstein to watch Eddie's back again, and with good reason, because it doesn't take long for the body-count to rise and for Eddie to realize things are going to get a little personal. 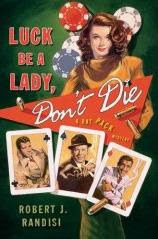 Luck Be a Lady, Don't Die is a terrific private-eye novel--Eddie G is a likable, hip, sarcastic, and tough protagonist. The supporting cast is strong. The New York import, Jerry Epstein--don't call him torpedo--is perfect. He brings a straight-faced humor to the story that elevates it well beyond the usual. And his appetite for pancakes and playing the horses is seemingly endless; in a good way. The background characters--the Rat Pack, Sam Giancana, Jack Entratter--help create the glitzy, cool atmosphere of 1960s Vegas; you know, before it was dummed-down to Disneyland in the desert. The mystery is top-notch and there is more than one kink in the final pages. The reader, as well as Eddie G and his small gang, are in the dark until Randisi expertly reveals the intrigue. Luck Be a Lady, Don't Die is Randisi's best work since the Joe Keough novels, and if you like American-style mysteries, hip private eye stories, or just an entertaining and enjoyable read you can't do much better. And I hope Randisi has plans for one or two more of these.